It’s this playful sensibility that has made him so influential over his more than 20-year career. He’s made it cool for designers to incorporate whimsy, irony and romanticism in a profession that for so long seemed dead set against anything but sober functionalism and simplicity. The next time you look at a piece of decor with any kind of wit, you can probably thank Wanders. His relentless output of products – which covers high-end, low-end and everything in between – has also helped garner a diverse fan base. He works with exclusive manufacturers like Flos and Moroso to create museum-quality pieces (his 1996 Knotted Chair, produced by Cappellini, is in the permanent collections of both the Victoria and Albert Museum in London and New York’s MoMA). He also co-owns Moooi, a mass-market maker of home and office furniture, and has made Christmas ornaments for Target, flip flops for Puma and collaborated on a makeup line with MAC. Wanders was in Toronto last week for the North American launch of a new line of products for Moooi (including a a floor lamp reminiscent of an oil well). The launch party was hosted by one of the city’s most respected retailers of contemporary furniture, Klaus Nienkamper II, and more than 1,500 people – including luminaries like restaurant impresario Charles Khabouth and fashion designer Amanda Lew Kee – came to pay their respects. 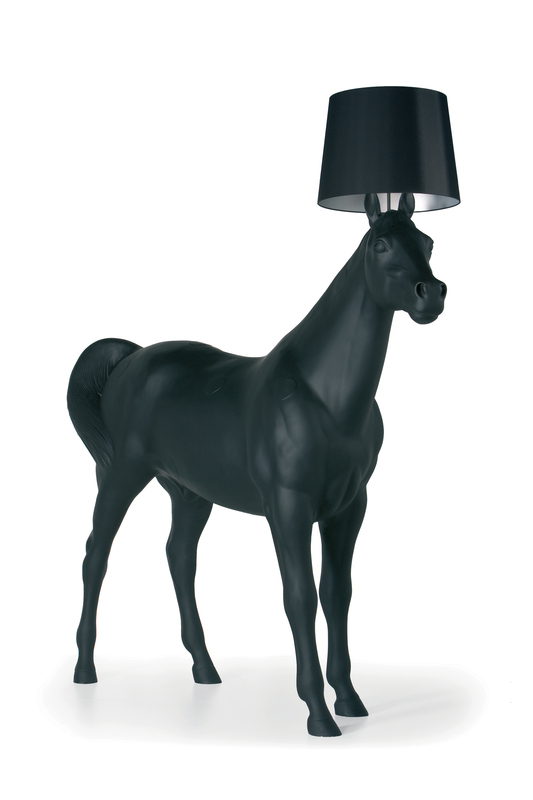 Although Nienkamper’s gallery-like store was lined with Wanders pieces (including one of Moooi’s most ostentatious – a life-sized, PVC horse with a lightbulb coming out of its head), most people were more interested in catching a glimpse of, or better yet, a cell snap with the designer. Wanders, after all, is famously larger than life. In 2003, he gave a talk to the Industrial Designers Society of America about working without fear. He started the lecture by discussing one his own anxieties: being naked in public. He finished by streaking, in the buff, across the stage. 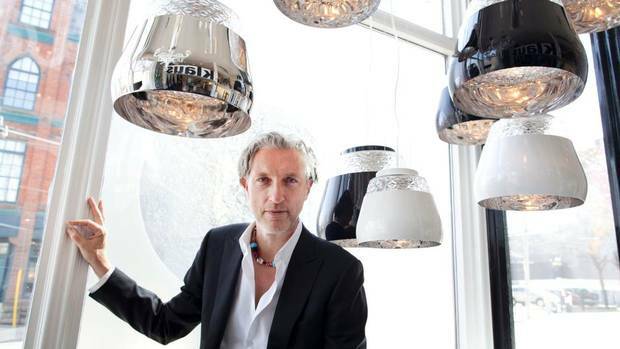 He’s also renowned for his party antics: In 2005, at an event at the Milan Furniture Fair, he engineered a special chandelier – aptly called the Happy Hour – from which his girlfriend, choreographer Nanine Linning, hung upside down, dispensing champagne to guests while intermittently feeding Wanders fresh grapes. When I met him before the party, his outfit seemed consistent with his sensibility: a conservative, tailored black suit jacket, paired with flowing Palazzo pants, pink-and-red sneakers and the kind of beaded necklace that skateboarders used to wear in the nineties (except more sparkly). But he was more soft-spoken and subdued than I expected. He bristled when I asked him if he preferred to be likened to Madge or Lady G (“Those comparisons are really for other people to make”). But his youthful optimism came out when we started talking about his work. Wanders believes that as a designer, it’s not his job to make stuff – it’s to uplift and improve people’s lives through the beauty of his craft. It’s because of this desire to tap into people’s emotions that Wanders often starts with something traditional. His 2006 Crotchet chair, for example, looks like it was stitched together from a bunch of grandma-made doilies. “I want to do things that are, in a way, instantly recognizable,” he explains. 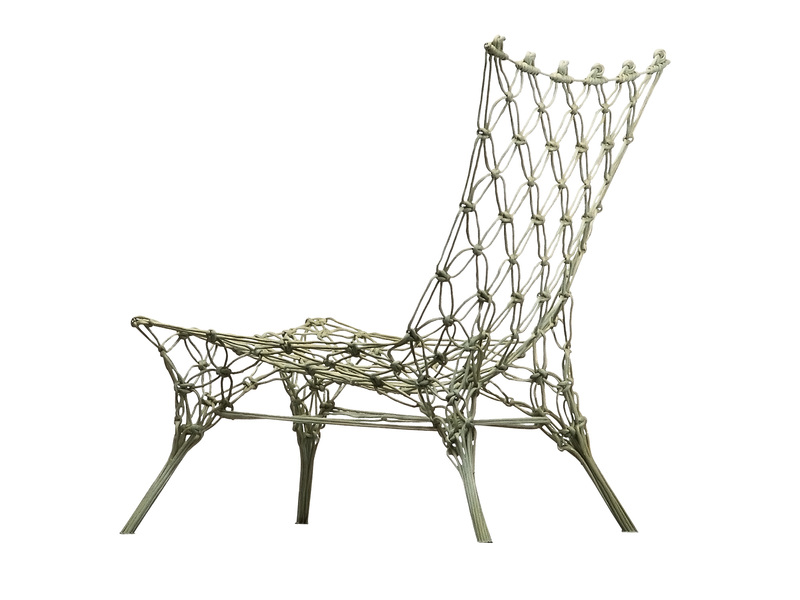 Yet he always adds a twist – the Crotchet Chair has a curvy, futuristic shape – that he hopes will surprise and ultimately stick in people’s heads. That’s why he often balances the outlandish with a sense of restraint. His Skygarden Pendant Lights, for example, conceal florid, old-world flower patterning within a sleek, minimalist dome. Creating this sense of intrigue is an idea that Wanders extends to all areas of his life. He believes his personality is integral to his work. Hence the publicity stunts and the party antics. 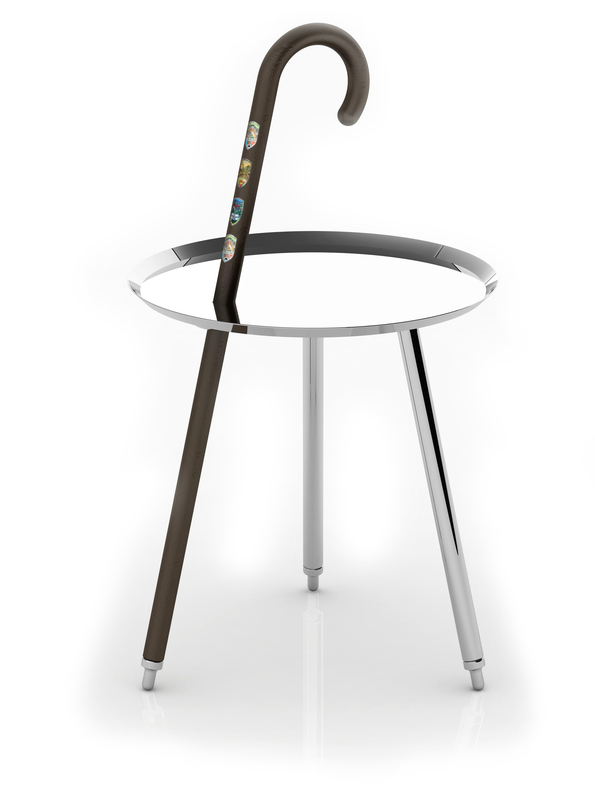 This entry was posted in Design Spy and tagged Cappellini, Furniture, Klaus, Knotted chair, Lady Gaga, Madonna, Marcel Wanders, MoMA, Moooi, The Globe and Mail, Toronto, Victoria and Albert Museum by mmhague. Bookmark the permalink.